Fire In Mountain Forest. Aerial View Forest Fire And Smoke On Slopes Hills. 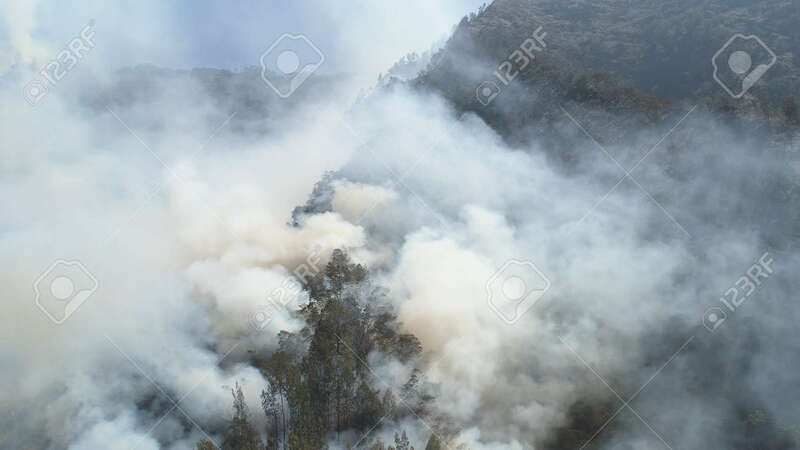 Wild Fire In Mountains In Tropical Forest, Java Indonesia. Natural Disaster Fire In Southeast Asia Lizenzfreie Fotos, Bilder Und Stock Fotografie. Image 115259703.